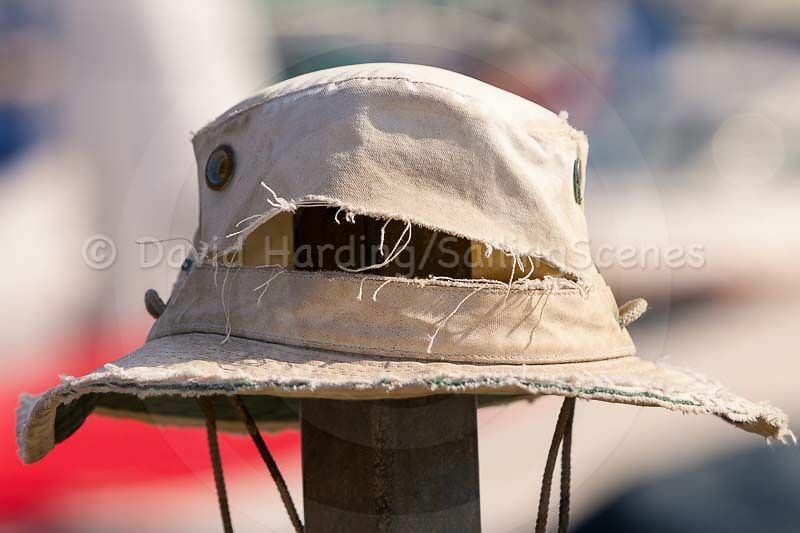 Friends and acquaintances of Sailing Scenes will know that we’re wedded to our hat. 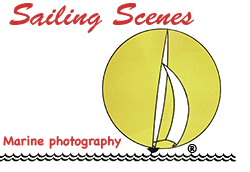 Ever since we tested one of this particular brand for Practical Boat Owner many years ago, we have seldom been afloat without it. Over more than two decades it has accompanied us on hundreds of boat tests, from Finland to the Balearics and from Poland to Croatia. But, as the photo shows, it’s not looking very happy at the moment. It has been on photographic missions from the top of rocks in Swedish fjords, from the top of masts of boats under spinnaker, from the deck of naval training ships and from a search and rescue vessel in a Baltic blizzard. It has performed a crucial role in the photography of racing events, from local regattas to European and world championships and it has has also raced aboard winning boats in events including Cowes Week. It has been involved in assignments for Practical Boat Owner, Yachting Monthly, Yachting World and Yachts and Yachting, testing, sailing, racing, photographing or photographing from everything from RIBs to offshore racing powerboats and dinghies to blue-water cruising yachts and multi-million pound motor cruisers. It has had the privilege of racing and working with Olympians and some of the world’s leading yacht designers, builders and sailmakers. In short, it (and, now we come to that, its predecessor too) has had a pretty active life on the water. This particular brand of hat is guaranteed to last a lifetime. The lifetime is that of the hat, we imagine, because our second one is now nearing the end of its useful life. It hasn’t been eaten by an elephant (something it’s claimed to withstand) or even mauled by a shark. It has probably seen more action than most hats, but has also been washed and cared for. Given that the current one is precariously close to becoming two half-hats, it will shortly (when we can find the time) be returned to its suppler for replacement No.2, so if you come across Sailing Scenes sporting an uncommonly un-worn and new-looking hat in the near future (not that it’s likely to stay looking new for very long), that’s the reason why.